A red-necked grebe, Podiceps grisegena, swimming in the East River. 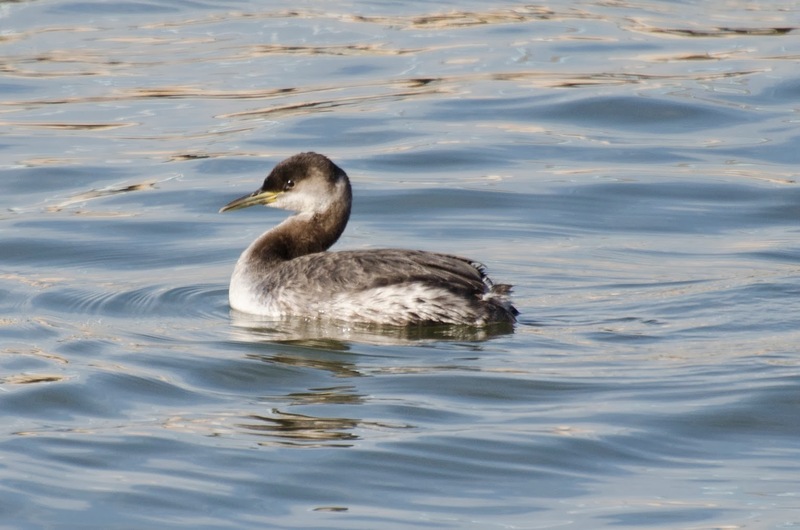 Here is a bird New Yorkers don't see every day -- a red-necked grebe. It is uncommon enough around New York City to be popping up on rare bird sighting lists. I saw this one in the East River today, between Piers 4 and 5, in Brooklyn Bridge Park. It was diving, disappearing under water for long counts, hunting for food. 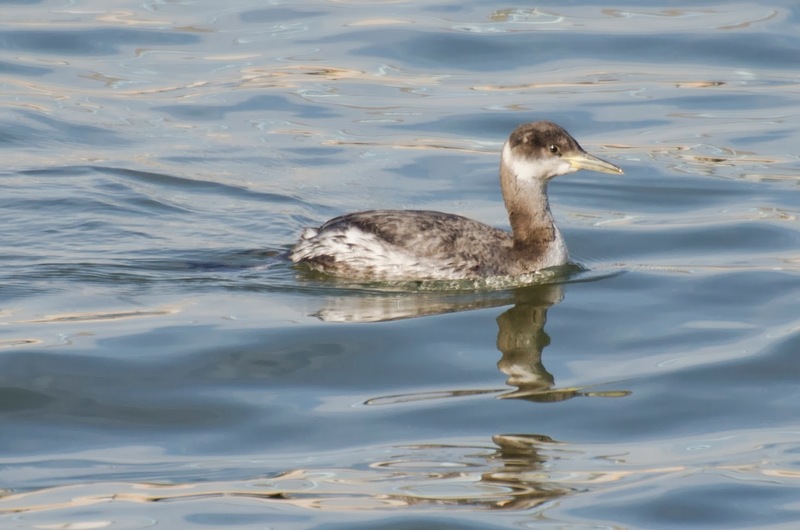 Red-necked grebes typically eat fish, crustaceans, aquatic insects, and an occasional mollusk or amphibian. The bird is drably colored now, but its plumage will brighten for the breeding season into a distinctive red neck (where it is now reddish brown), white face, and black cap. Red-necked grebes breed on inland lakes, mainly in Canada and Alaska, and winter along both coasts of North America. They make unique floating nests from mats of plant material; a depression in the middle holds the clutch of 1-9 blue eggs.